This beautiful home on a rare one acre lot in the heart of Arcadia is the perfect sanctuary for families and entertaining. 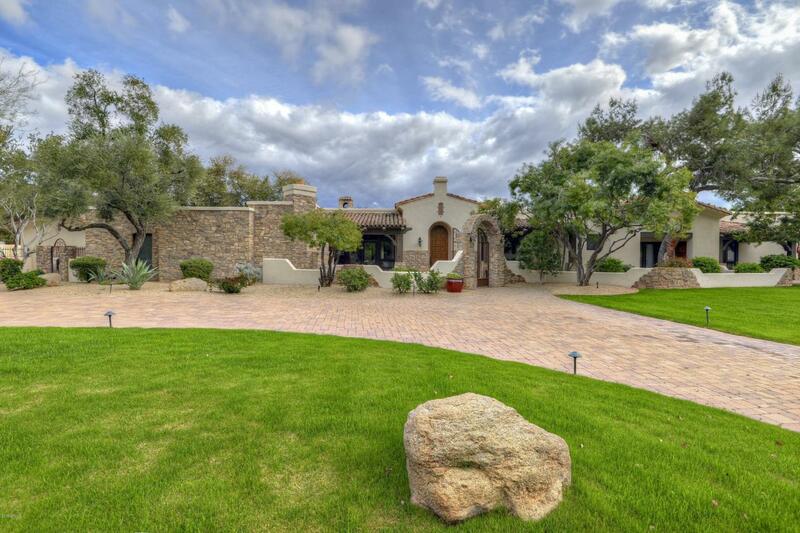 Four en-suite bedrooms plus master suite, attached casita, billiards room, office, and resort style backyard. Custom built home features the highest quality details such as solid hickory floors, Marvin windows, Miele coffee bar, Butler's pantry, 750 bottle wine cellar,chef's kitchen with subzero appliances, plus new carpet and paint in 2017. Three outdoor and four indoor fireplaces, putting green, volleyball court, pool with spa, expansive BBQ bar. A stunning 3000 sq ft travertine patio was installed in 2017 along with a new irrigation system and more. The home is a short walk or bike ride to Old Town, Scottsdale Fashion Square, restaurants and the canal. A must see!